India have already won the ODI series against New Zealand. But after a disastrous batting performance in Hamilton, the Rohit Sharma-led side will feel the need to prove a point. After a triumphant performance in the ODI series against New Zealand under skipper Virat Kohli, the men in blue faced a “reality check” at Seddon Park in Hamilton in the 4th ODI on Thursday. With Kohli rested, and MS Dhoni unfit to play, the Indian batting line-up was up for a rude shock when up against the swinging best of Trent Boult. The visitors, who appeared invincibles so far in the series, were humiliated as they were bowled out for 92. 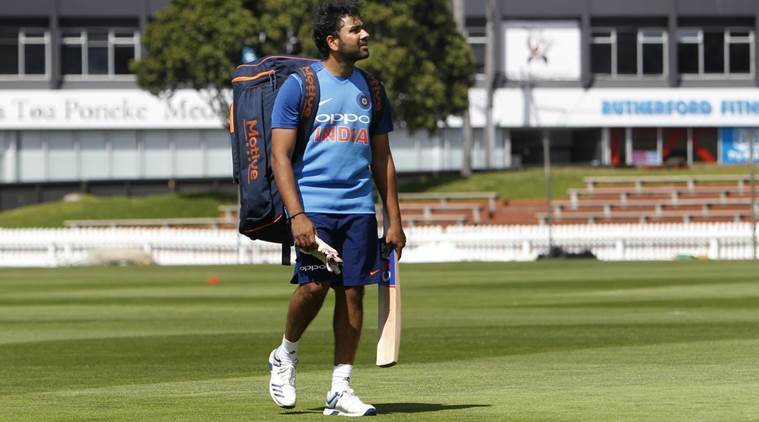 Going into the final ODI, the stand-in captain Rohit Sharma will feel he has a point to prove. So will the remainder of the time. 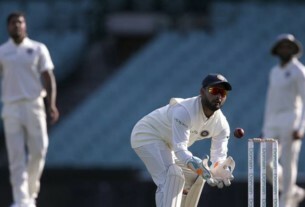 With questions being raised whether the current Indian side is not as good without Kohli and Dhoni, the visitors would hope to pull off another win to end the series on a high, and silence the critics. The focus, once again, will be on the middle-order. In Kohli’s absence, Shubman Gill is likely to come out to bat at No. 3, even though he failed to get the meter running on debut. The pressure will be on Kedar Jadhav, Dinesh Karthik, and Ambati Rayudu, who have not been among runs in the past. The trio scored just one run among themselves in Hamilton, and one more bad performance might be enough to convince the selectors to go the “Rishabh Pant” way in the World Cup squad. MS Dhoni is fit to return for the final ODI, which means, either Karthik or Rayudu will be sacrificed. With Jadhav having the ability to bowl a few quick overs, India would not look to bench him. Dhoni’s presence would provide a calming influence to the side in the middle, and might allow youngsters like Gill to settle down, in case the openers implode again. Hardik Pandya, too, failed to turn the heat with the bat, But the allrounder brings a balance to the troubled middle-order and also has the ability to pick up wickets with the ball. He is likely to be preferred over Vijay Shankar, who has not been the best with the ball and has not been allowed to bowl too many overs. When it comes to bowlers, India might once again look to give another test to Khaleel Ahmed, who was seen practicing in the nets on Saturday along with the bowling coach Bharat Arun. Surprisingly, Mohammed Siraj, who has been away from selection considerations after his forgettable debut in the 1st ODI against Australia, was also seen practicing at the nets, indicating India might look to rest Bhuvneshwar Kumar as well to give Siraj a go at the Kiwis. Or Siraj might be given a chance over Khaleel, who was less than impressive in Hamilton. If that was the case, the New Zealand batsmen, who have not been in the best of form throughout the series, will have a real chance to go after the bowlers and get some runs on the board before the tour ends. Martin Guptill is likely to be on the sidelines due to an injury suffered in the training, but it would mean a return for Colin Munro. The left-handed batsman is not in the best of form, and he could make the best of the opportunity to go after a pair of inexperienced seamers. Ross Taylor, who has shown he is in good nick with innings of 93 and 37 not out, would be the key player for the Kiwis in the final ODI with the bat. Henry Nicholls, who was tested at the opening position, scored unbeaten 30, proving he could do the job if sent in front. Boult, who has regained his swinging form, along with Colin de Grandhomme, who picked up three wickets in the previous ODIs, would be viewed as the primary threat by the Indian batsmen.